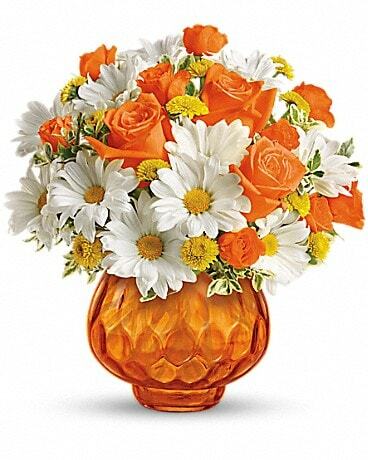 Awaken their senses with a brilliant burst of color! 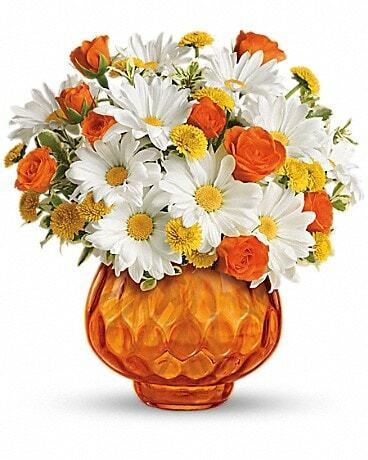 Send sunny orange roses and white daisies in a blazing orange cut-glass votive bowl. When the flowers are gone, they can light the candle and bask in a little indoor sunshine. Send sunshine with this dazzllng array of orange, white and yellow flowers in a bright orange cut-glass votive bowl. 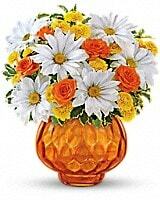 When the flowers are gone, they can have sunshine at night as they bask in the warm glow of candlelight. 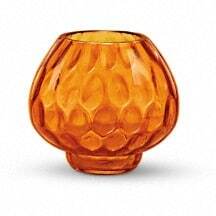 This elegant orange cut-glass votive bowl is from Teleflora's exclusive Flowers-in-a-Gift collection. Utterly charming with and without flowers.